Although Jonathan Swift is best remembered for his great fictional works, especially Gulliver’s Travels and Tale of a Tub, so much of his writing was political. The late 17th and early 18th century were tumultuous times. There were forever tensions between the Protestants and the Catholics, the Glorious Revolution in 1688, the deposing of James II, and the conflicts between the Irish and the English. Swift expended much of his intellectual energy with the political and religious issues of his day. He penned numerous pamphlets and wielded great influence in his native Ireland. 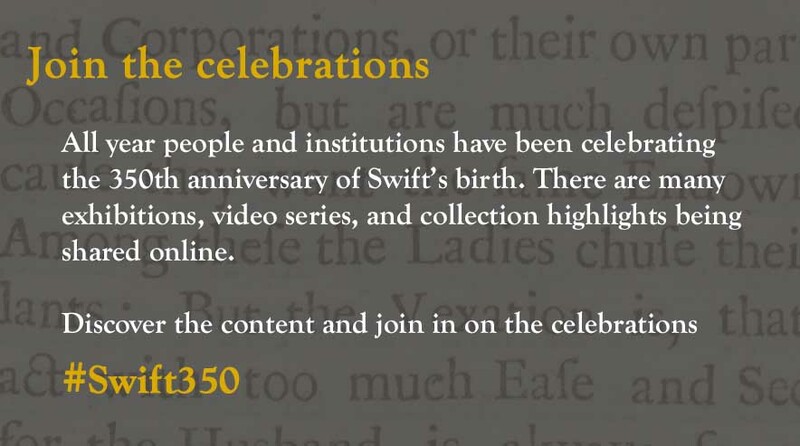 This is one of Swift’s earliest published works. For a time, this was considered to be his first appearance in print, but that distinction now is given to an earlier poem, ‘Ode to the King,’ which is actually referenced in this one. 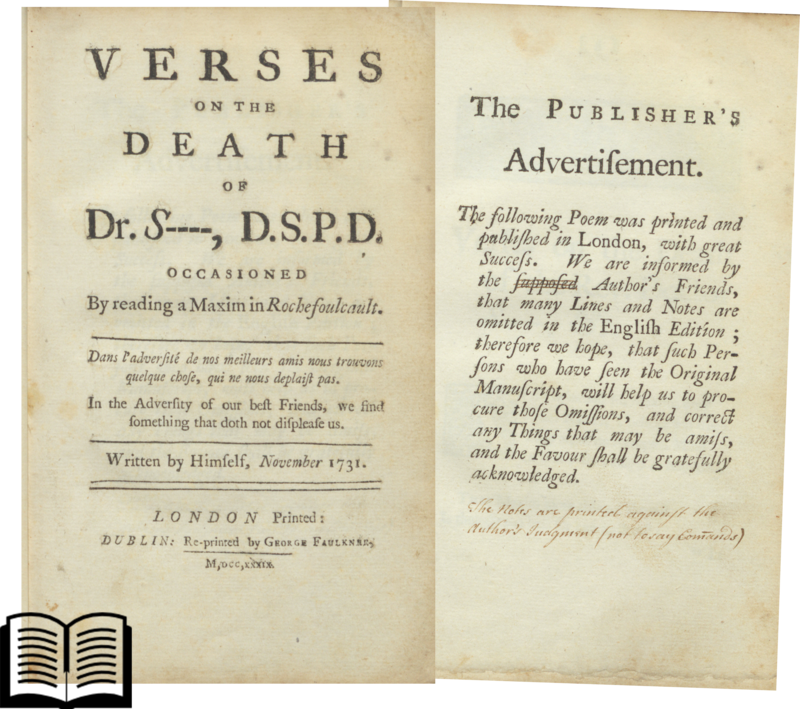 Even in his poetical work, Swift chose contemporary topics for his subjects. 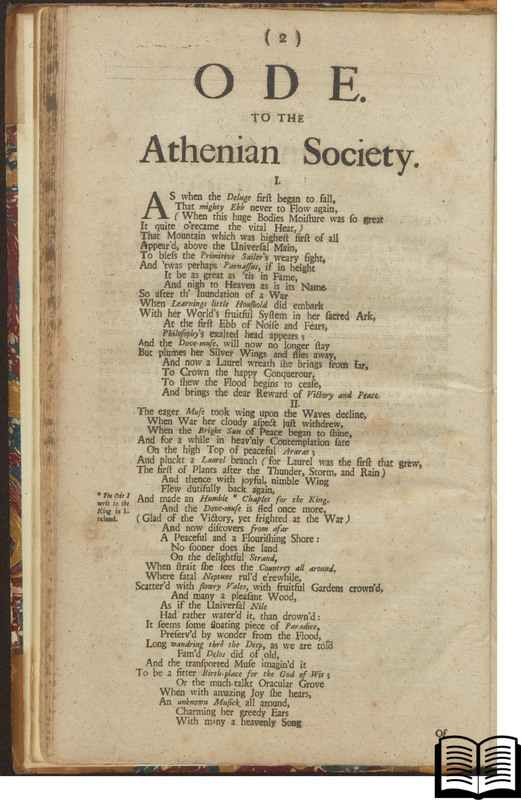 'Ode to Athenian Society' is about the Age of Enlightenment and its learning. It was written in response to another ode, 'To the Royal Society' by Abraham Cowley. 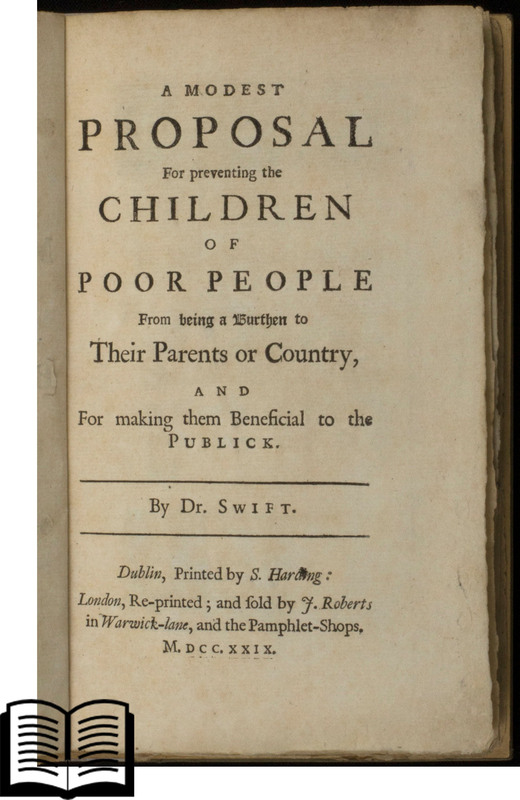 A Modest Proposal was Swift’s satirical response to English apathy to the plight of the poor in Ireland. In it, he suggests that the Irish should rear their children to be sold and eaten in order to solve the economic problem. The argument is presented in a mock scientific treatise and goes as far as to include recipes. The English attitudes of the time that came to dehumanise the Irish Catholics are here taken to an extreme position. 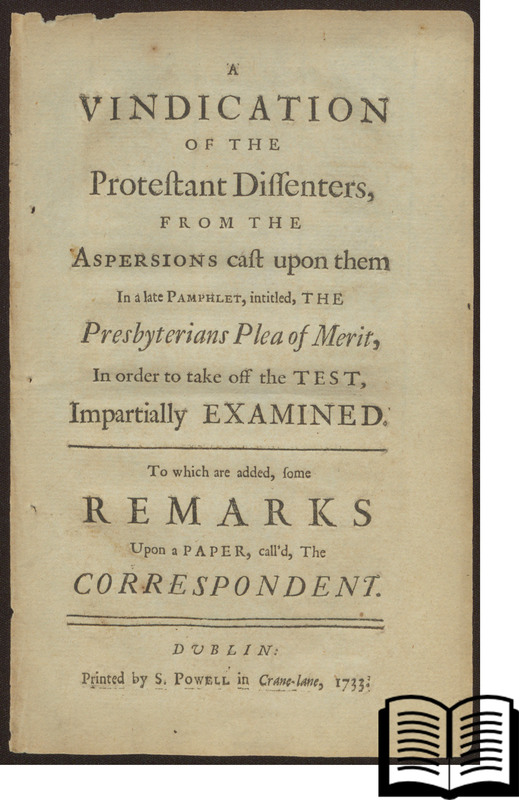 In the early 1730s Swift wrote several pamphlets concerning the Sacramental Test. In these he argued against religious zeal. 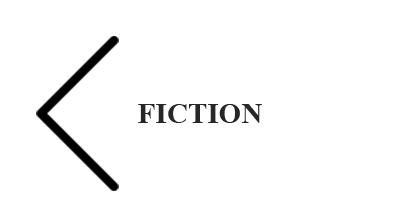 A Vindication… was a pamphlet weighing into the argument by an anonymous writer. This copy belonged to Jonathan Swift and contains his manuscript annotations in the margins. The Verses was written by Swift himself and takes an ironic view of his life. The annotated copy at Monash has many of the blanks for names completed in a contemporary hand. Several copies survive like this. It has been argued that the annotations were supplied by Swift himself in one copy and written in the others by a professional scribe. The Monash copy includes some unique annotations.